﻿﻿ Smallholder timber plantation development in Indonesia: what is preventing progress? Smallholder timber plantation development in Indonesia: what is preventing progress? 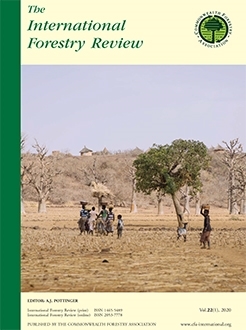 This paper evaluates a community timber plantation programme in Indonesia called HTR (Hutan Tanaman Rakyat, community timber plantation). Launched in 2006, the programme seeks to establish over 5 million hectares of new plantations by 2016. Government authorities have offered a range of incentives including low interest loans, assistance with the acquisition of land, streamlined application procedures and simplified reporting on operations. Nearly four years later only a small fraction of the intended plantations have been established. Review of the policy content, incentives offered and financial profitability assumptions indicate significant policy design flaws and shortcomings in implementation. The policy also runs the risk of encouraging illegal forestry activities. We identify five policy adjustments that can potentially increase the success of the programme in the areas of financial feasibility, legal certainty, and transparency in land allocation and financing. Authors: Obidzinski, K.; Dermawan, A.